So you’ve packed your bags and you’re ready for a cruise on your yacht, but haven’t figured out what to do with your sports car yet, right? Well, dump your old yacht and get a hold of the Strand Craft 122 Superyacht that lets you take your beloved sports car on a cruise too! Oh and that’s not all. 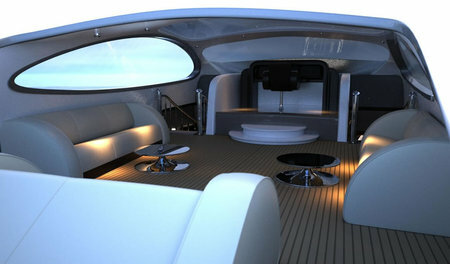 The yacht comes packed with a super car, though no word on its make and model have been heard of. 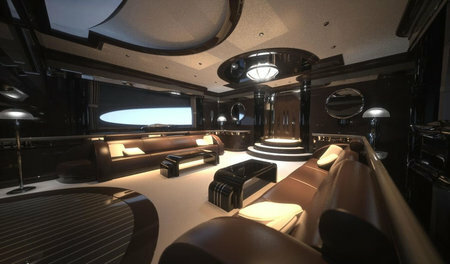 So, you dump both, your old yacht and your old dented super car, and pick this instead. The super car that comes packed is an 880-horsepower V12 with speeds up to 230 miles per hour, enough to satisfy your adrenaline urges. And yes, the yacht plays its part as a speed maniac too, with twin Rolls-Royce engines and an extra Booster engine, in all delivering 14,000 horsepower, with speeds of 55 knots. 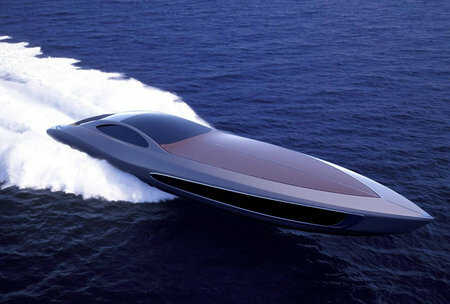 A fast car in an equally fast yacht would be something Bond would love, and if you’re the adventurous, splurging-on-awesome-luxury type, this one’s just for you!